On Saturday 5th August, we spent the day celebrating my boyfriends 26th Birthday with our friends. 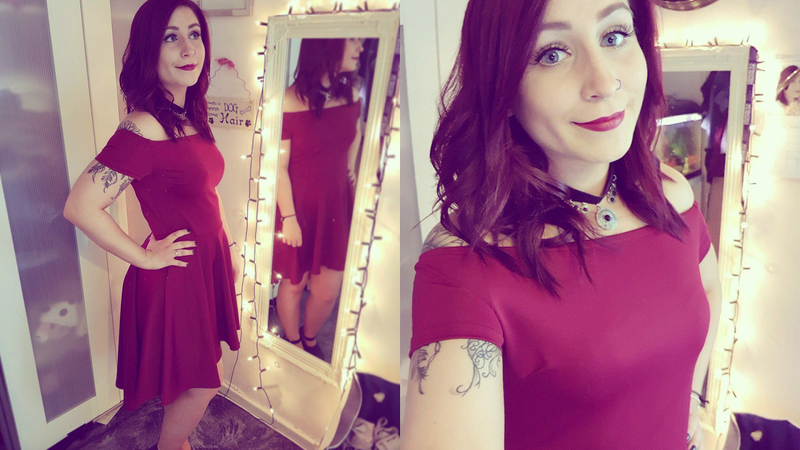 I thought I would do a Get Ready With Me for what I wore on the night time. 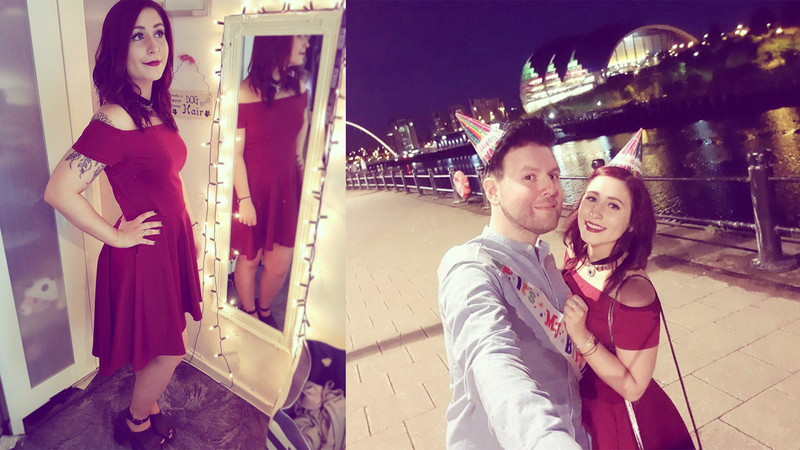 We enjoyed an amazing meal at George's Great British Kitchen in Eldon Square... 100% would recommend by the way; followed by cocktails on Newcastle Quayside. 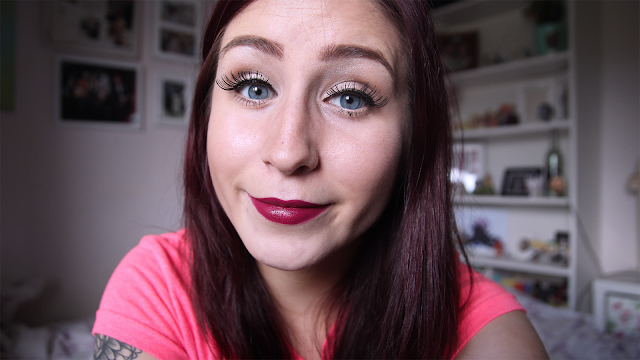 I'm quite pleased with how my makeup turned out. I was still trying to heal a breakout of spots I had on my chin, so they weren't completely covered, but I got to try out some new makeup buys as well! I started by priming my skin using the Balance Me Instant Lift Primer and the Bobbi Brown Eye Repair Cream. I'm starting to introduce anti-wrinkle creams. For the base of my makeup, I mixed two foundations together, since I was wearing fake tan and needed to try and darken my face a little. I used my Rimmel Match Perfection and Rimmel Wake Me Up, and applied using a basic makeup sponge. 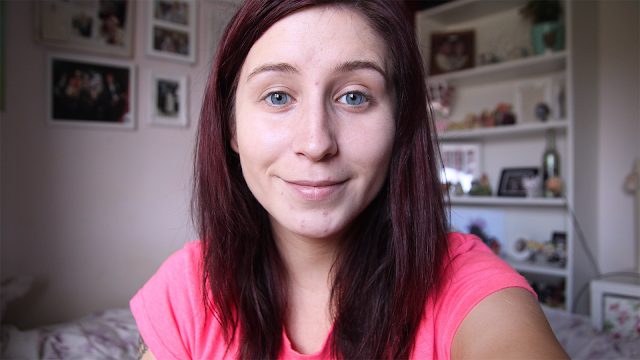 I went over any redness and spots, as well as my dark undereyes with my trusy Collection Lasting Perfecction Concealer, using the same makeup sponge to blend it. 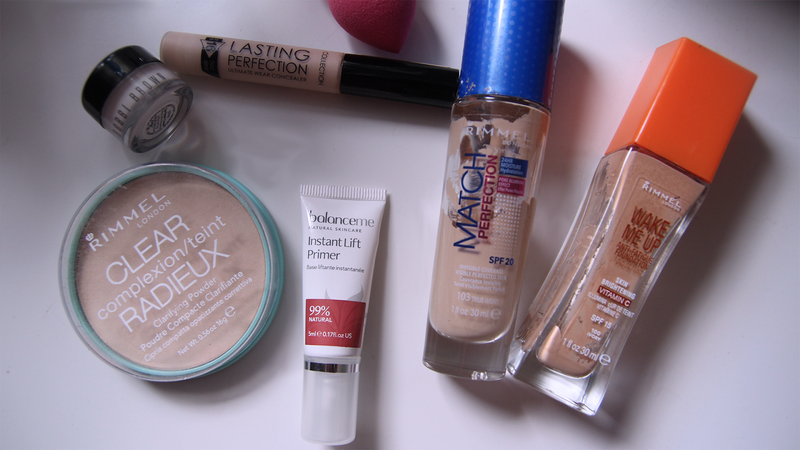 I set all of this with my Rimmel Clear Complexion Transparent Powder. 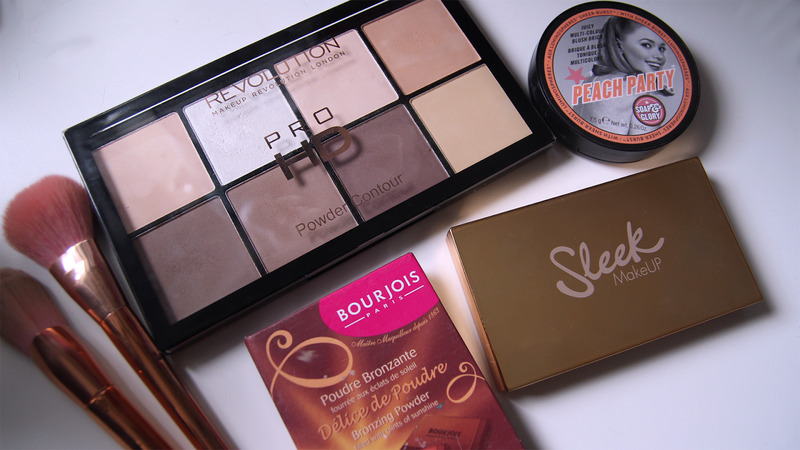 I moved onto contouring my face using a brand new purchase, the Makeup Revolution Pro HD Contour Palette. I fell in love with this straight away. 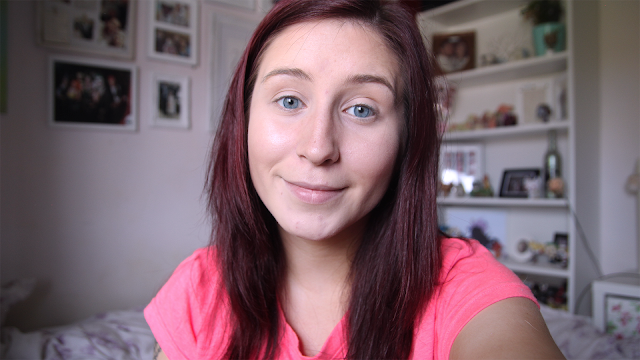 I found the shade "fair" was perfect for my skin and it blended really well. I used the 2 bottom left shades on the hollows of my cheeks, around my forehead and down my nose. I used the Soap & Glory Peach Party Blush which is a very bronzed and sun-kissed shade to help with matching my fake tan. I highlighted my cheekbones, brow-bone, nose and cupids bow with my Sleek Solstice Highlighting Palette. For my eye brows, I filled in just to darken them slightly and create more of an arch using the Meech and Mia Browliner. 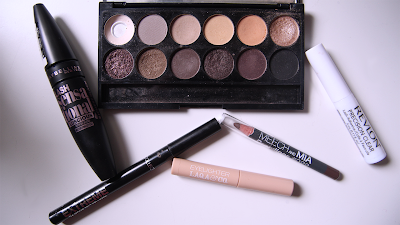 I used the Sleek Eye Shadow Palette in Au Naturel for the whole eye makeup look. I started with Toast as the base, and used Mineral Earth blended in my crease and the outer corner of my eye. I used Taupe all over the middle, and then Nougat on my inner corner. I wanted to go for a simple, neutral look, since I knew I was going to be wearing a red dress and red lips. I did a very simple line along my upper lash line with the Collection Extreme 24 Hour Felt Tip Liner, without doing a wing, and lined my lower lash line with the Laqa & Co Eyelighter. 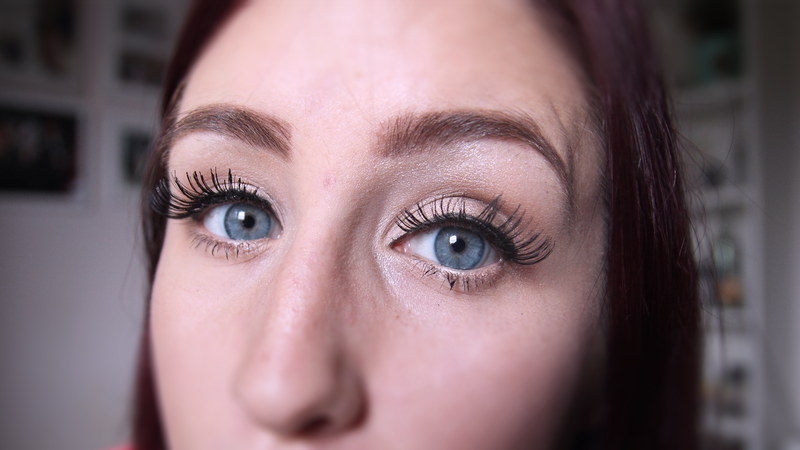 Of course, for a good old night out, us Geordies love a pair of false lashes. I used the Eylure Petite with the Revlon Precision Clear Glue. I tend to always reach for Rimmel when it comes to red or dark lips, so I used the Rimmel Kate Moss Lipstick in the shade 30.
birthday gift from Eric's sister back in April. It was gorgeous! I loved the off the shoulder sleeves, and the material was super soft and stretchy, meaning it was very comfortable to wear and wasn't restrictive. I opted for my chunky platform heels that I wear for literally every night out... they're comfortable. I was gutted when I noticed they're starting to break... They served me well for 2 years! For jewellery I kept it fairly simple, with just 3 silver rings and my usual bracelets, but went for a thicker velvet choker with pendant details. We had a great time! 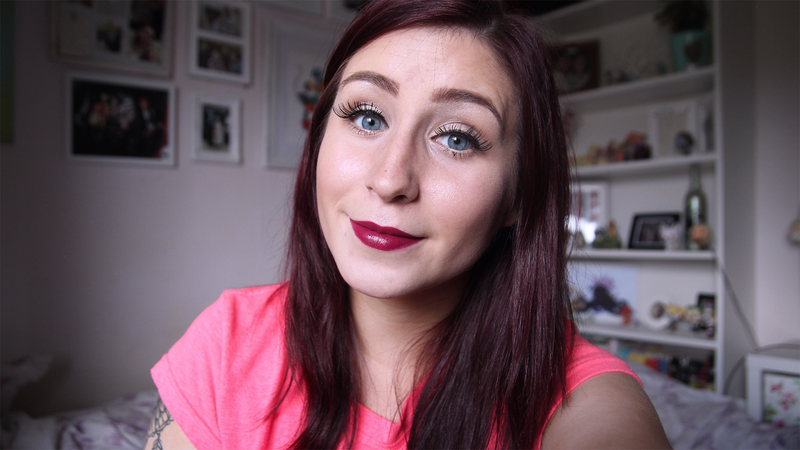 I'll be doing a wedding guess GRWM next week, so be sure to keep a look out for it! I'll be doing a completely different look.